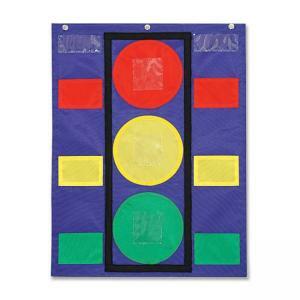 Colorful pocket chart resembles a stop light to make classroom management fun. Chart includes six pockets, 30 write-on/wipe away student sticks, and a resource guide. Durable construction includes sturdy grommets for easy hanging.